Manage your retail business and drive online sales with Inforgen for Retail Management software. A single web-based solution, Inforgen for Retail combines an e-commerce website with an online retail management system to power sales, cut administration and drive efficiency across retail operations. 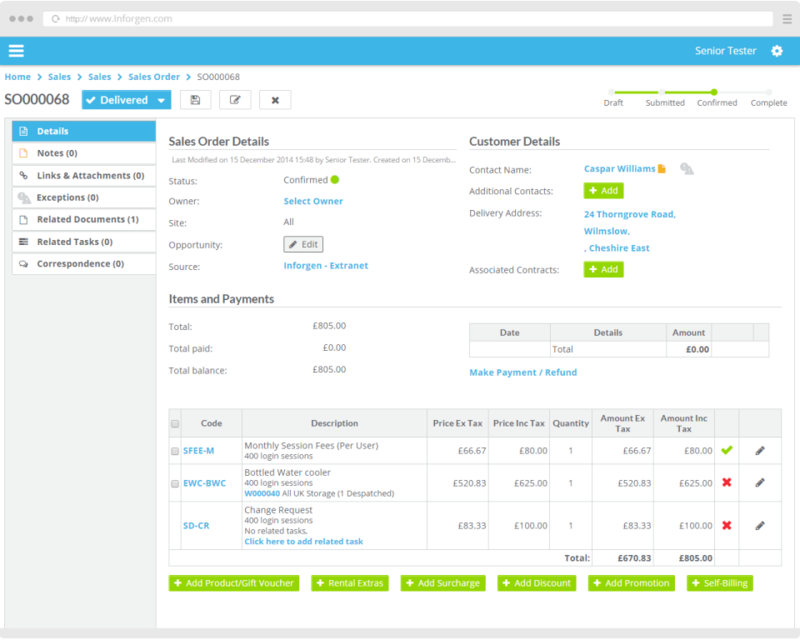 Integrated with your e-commerce website, Inforgen's retail system includes a CRM, sales order management, order processing, stock, warehouse management, business reporting, and much more.